There is a Swedish saying that goes: “Kärt barn har många namn” – which translates to “A dear child has many names” or less freaky: “We find many names for those we love.” Sri Lanka has truly been loved by many. "The name Ceylon has a history going back to antiquity. Deriving from the Old-Tamil word Cerentivu which means literally "Island of Cheras". The Island was through the word Cerentivu known by the Roman as Serendivis and by Arabs as Serandib and the Persians as Serendip. From this, the Greeks called the island Sielen Diva. From the word Sielen, many European forms were derived: the Sinhalese Sinhalee, Latin Seelan, Portuguese Ceilão, Spanish Ceilán, French Selon, Dutch Zeilan, Ceilan and Seylon, and of course the English Ceylon." The colonisation of the island, by not one but three countries, was horrible and with our name we don’t wish to draw attention to that or in some way glorify the colonisation. We choose the name Ceylon Sliders because it sounds like it promises adventure, empty beaches, sliding waves, jungles rich of animal life and an amazing culture. Sri Lanka has an amazing history that to this day is very much alive and sometimes being a traveller in this country feels like travelling in time, to us the name Ceylon manifests that feeling. We also need to be honest, we didn’t come up with the name. Petter’s brother Simon did a few years ago. He thought we should call our first concept, that we named Sunshinestories, for Ceylon Sliders. This year when planning our new concept in Weligama the name felt perfect. But then we discovered to our horror that the name was taken! At least on Instagram and Facebook. Luckily it was by our friends Jason and Jess. They were kind enough to give the accounts to us. Thank you guys, you will always be true Ceylon Sliders. Ceylon Sliders brings together like-minded people that are sharing the joy of riding the waves around the island. 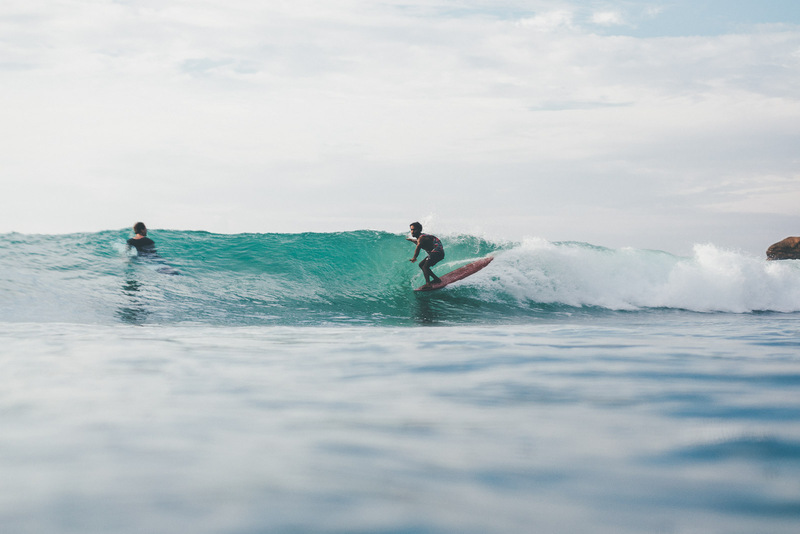 We are a community of ocean sliders, travelers and creatives celebrating surf culture in Sri Lanka. As a location Ceylon Sliders is a hotel, a café and a shop located on the beachfront in Weligama. © 2019 Ceylon Sliders All Rights Reserved.